Designed specifically for backpacks, packs, laptop, and book bags. AR500 Armor® Backpack Armor is unmatched in quality and affordability. 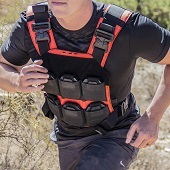 Our backpack armor cuts will fit nearly all civilian and military style backpacks on the market allowing a convenient and concealable solution to staying protected. All AR500 Armor® Body Armor is 100% made in the USA and manufactured from our rugged and reliable ballistic core designed specifically for Armor applications.